Key Set of 4 With Words makes 4 different sized keys. Each Key has a word on it. 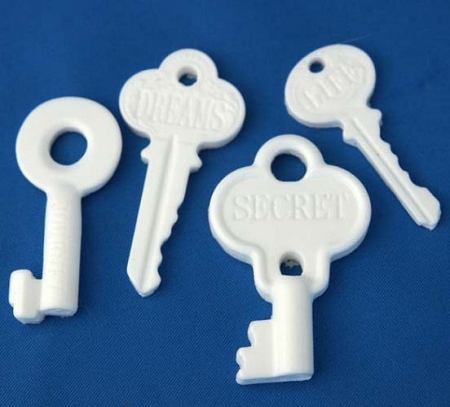 The Secret Key measures 1 7/8" x 1 1/4", the Dreams Key measures 2" x 1", the Journey Key measures 1 7/8" x 3/4", and the Life Key measures 1 3/4" x 3/4".